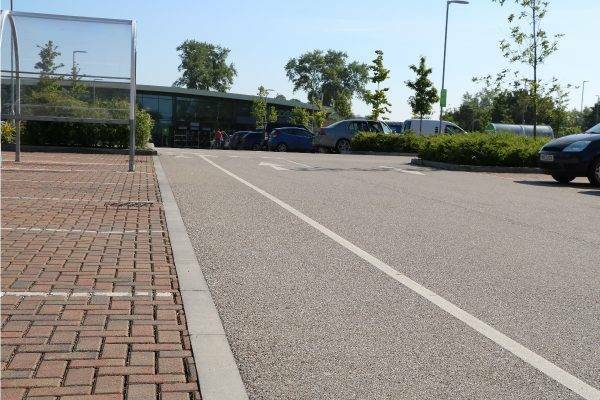 NatraTex is an alternative to resin bound surfacing and other aesthetic hard landscaping materials, such as block paving or conventional tarmacadam. However, NatraTex shares similar characteristics with conventional tarmacadam being laid at the same depth and sub layers (base and binder course). 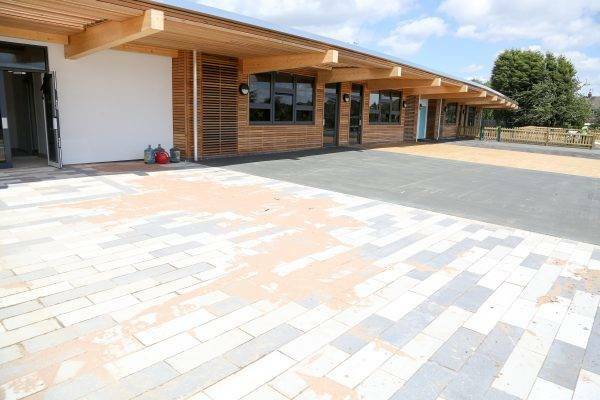 NatraTex has been chosen over resin bound and bonded surfacing due to its durability, programme savings and its ability to be installed all year round even in the winter when temperatures drop and bad weather sets in. Unlike resin material, NatraTex does not peel away over time as well as be delivered in larger tonnages to cover a vast area. 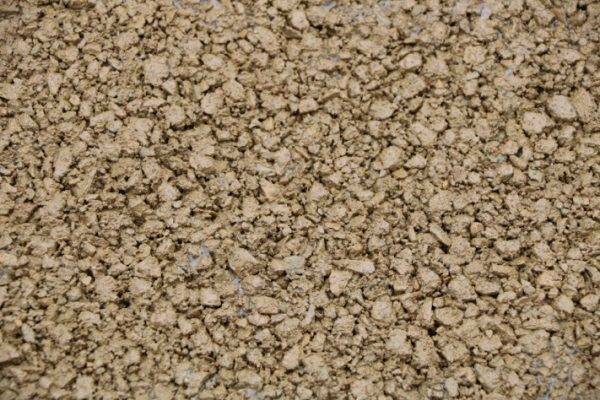 NatraTex gets its name from the use of naturally coloured aggregate. When producing NatraTex Cotswold the use of Cotswold stone means that less coloured pigment is added to the mix and creates a sympathetically pleasing finish to all projects it is installed in. 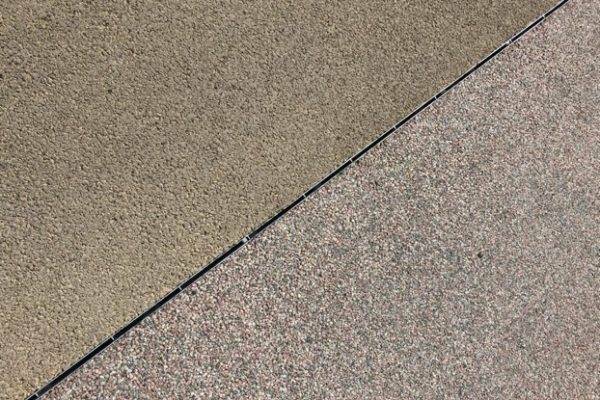 NatraTex Cotswold has been used in many sectors (retail, residential, recreational and regeneration). 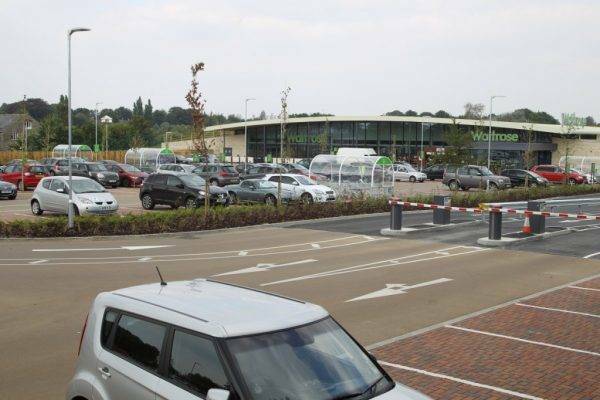 Most recently used at Yate Retail Park alongside conventional tarmacadam to differentiate between parking spaces and access routes in and around the car park. 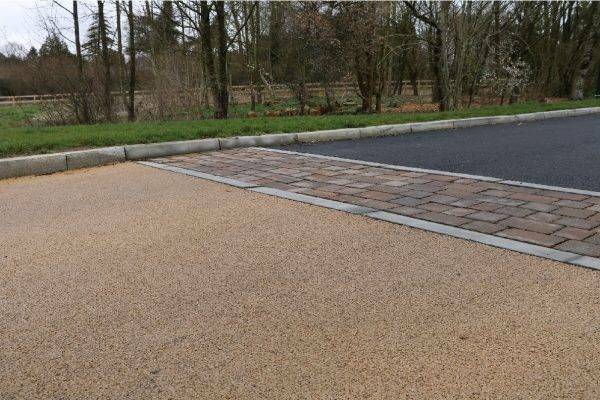 A clear synthetic binder allows the naturally coloured aggregate to stand out against resin bound paving as well as resin bonded paving. With the help of NatraTex’s sister product, NatraTex Colour, vivid shades can be produced to offer demarcation where needed as well as create inspirational Multi Use Games Area (MUGAs) spaces to be enjoyed all year round. 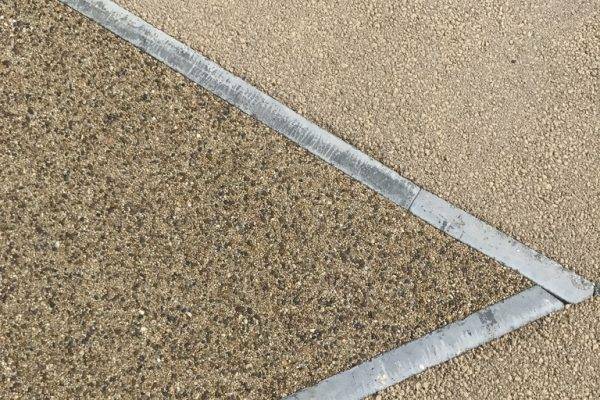 You can however use NatraTex alongside resin bound or bonded surfacing to create a unique design much like the Television Studios at White City or children’s park in Rhoose, Cardiff. The NatraTex Portfolio is packed with diverse and imaginative applications of our state of the art coloured surfacing. It has enhanced many projects and if you would like to know about this alternative to resin bound materials, please see our FAQ’s or contact us.